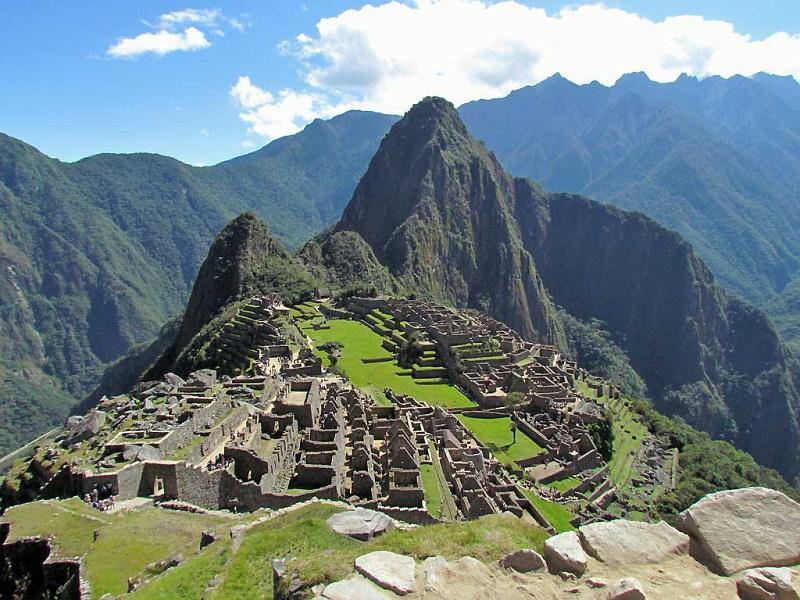 In order to visit Machu Picchu a reservation is essential, since access is limited to 2,500 people per day. You must take the bus up the switchbacks from Aguas Calientes, because no private vehicles are allowed. At the site, visit the Condor, the Temple of the Sun, the Temple of the Three Windows, the Sacred Plaza, the Intihuatana (the Hitching Post of the Sun) and the Sacred Plaza. The Guard House has the classic view over the ruins. 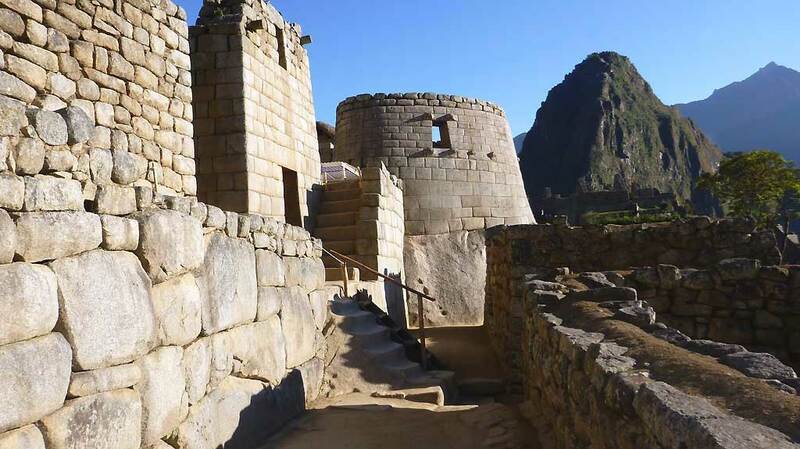 From the Guard House you can access the trail to the Inca Bridge and the Inca Trail. Hike the Inca trail from the train line to Machu Picchu – a 4 day trek with the help of porters starting at the 82 km marker on the train line. Expect very high altitudes and cold temperatures. 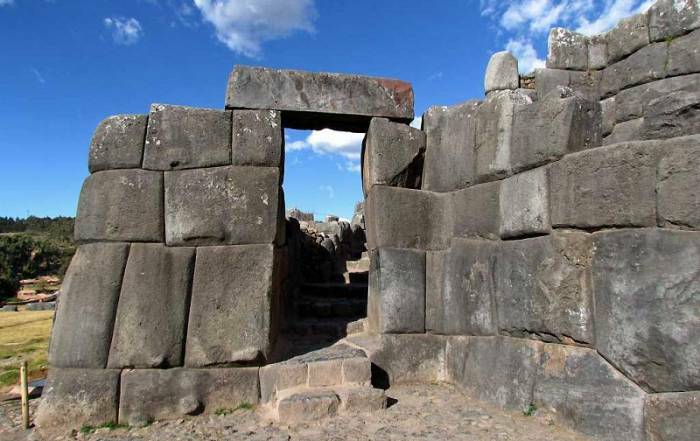 At the Sun Gate (Intipunku), hikers often watch the sun rise over the ruins before descending to the site at the completion of the trail. Alternately, try the shorter 2 day trek starting at the 104km marker. 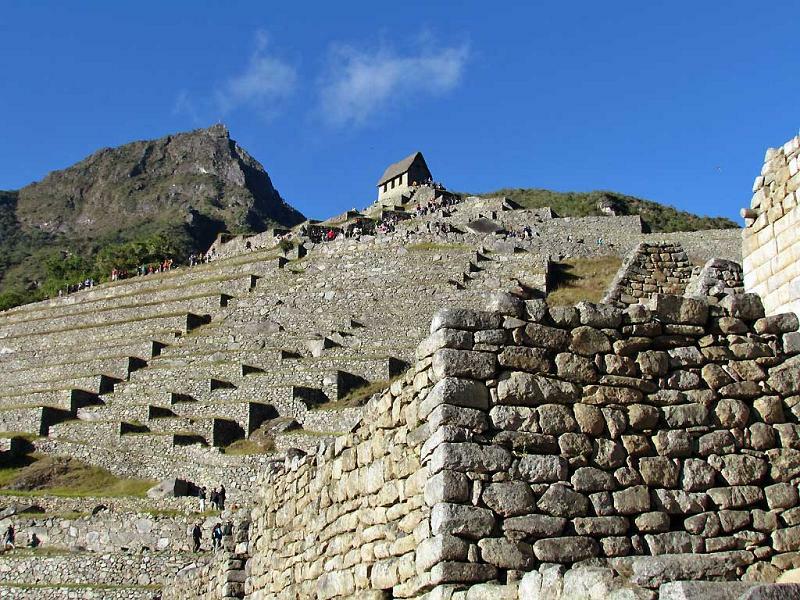 Hikers can also climb Huayna Picchu, the mountain overlooking the site of Machu Picchu. Access is limited to 400 people per day. 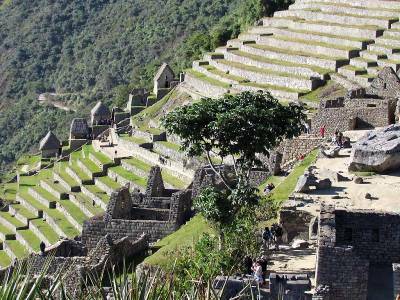 Stay in the town of Aguas Calientes, also known as Machu Picchu City. Aguas Calientes is the nearest accommodation to Machu Picchu, so it’s the best place to get an early start on the bus ride up to Machu Picchu in the morning. 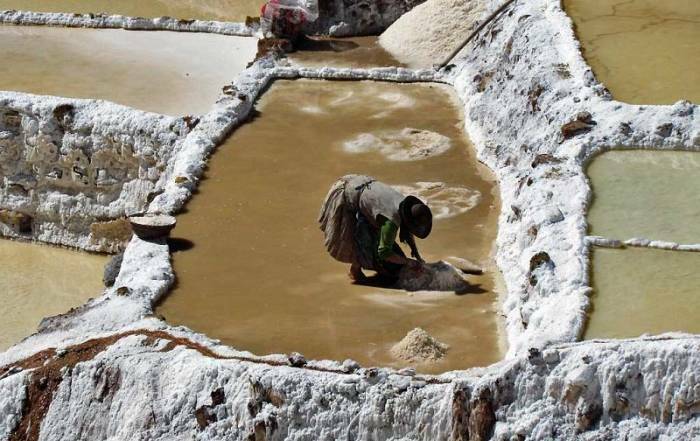 Try the hot springs too, if they aren’t full of hikers who have just finished the Inca Trail. Stay the night before your visit at Aguas Calientes. This is the best option, because you get the earliest arrival the next morning at the ruins. Stay the night before your visit at Ollantayambo. This isn’t a great option, because you arrive at the ruins several hours after they open. Stay the night before in Cusco and take the 3 hour train ride from Poroy. This is the worst option, because you are the last tourists to arrive at the site. You will also miss the ruins at Ollantaytambo this way. 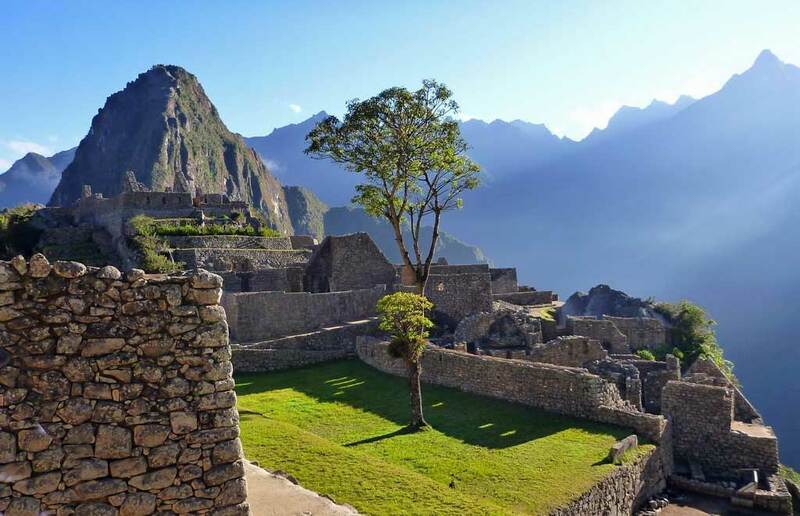 With an elevation that is 3,200 feet (1,000 m) less than Cusco, temperatures are significantly warmer and it is much easier to breathe at Machu Picchu. 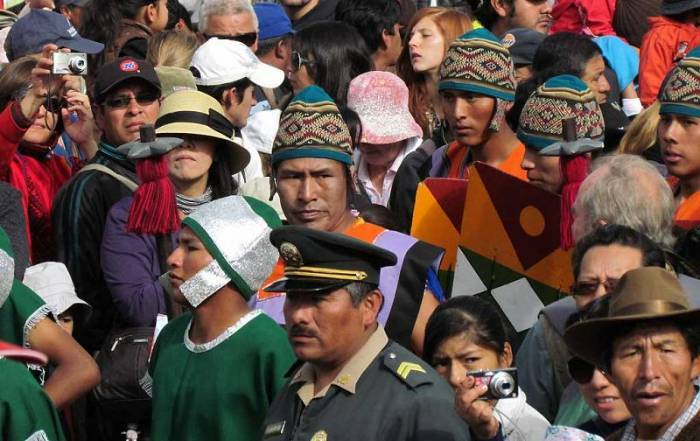 Unlike Cusco, there is very little temperature variation throughout the year too. Expect average highs of around 91 F (33 C) and average lows of about 72 F (22 C). 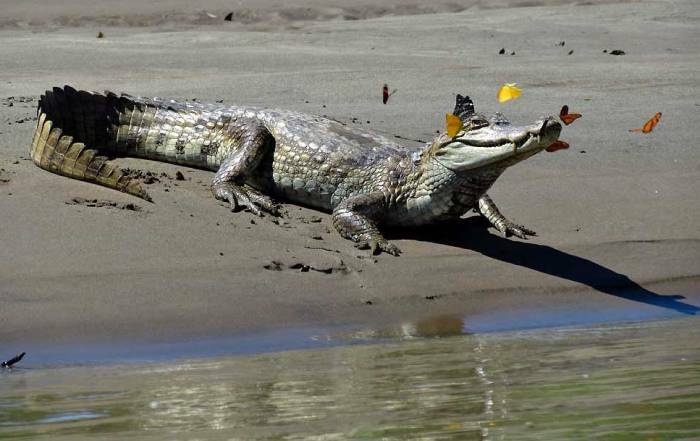 The busy months for visitors are in the dry season from June – September. Hiram Bingham class for travelers who want luxury. 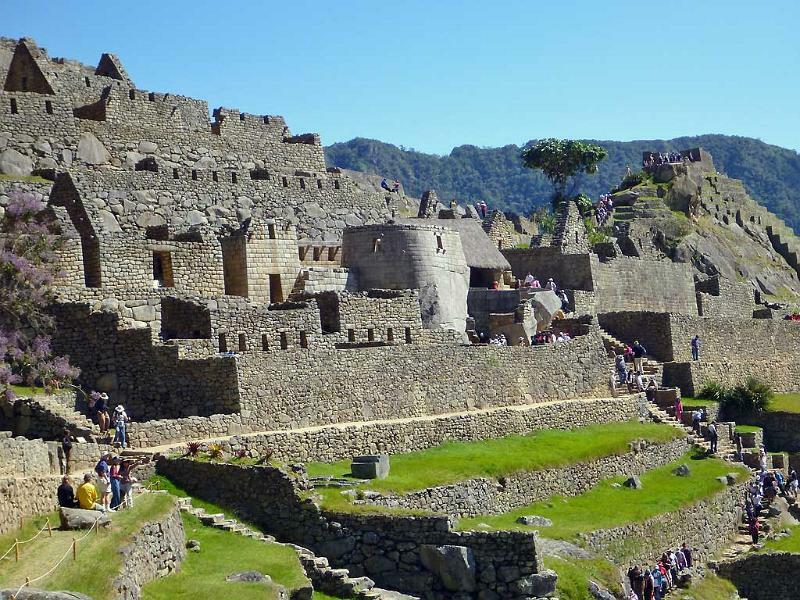 The best source of information on the various train options is found at AndeanTravelWeb.com Book the train ride yourself with Peru Rail and buy Machu Picchu tickets online well in advance, as numbers are limited. Machu Picchu tickets are available online through resellers or directly from the government of Peru when their site at machupicchu.gob.pe is accessible. 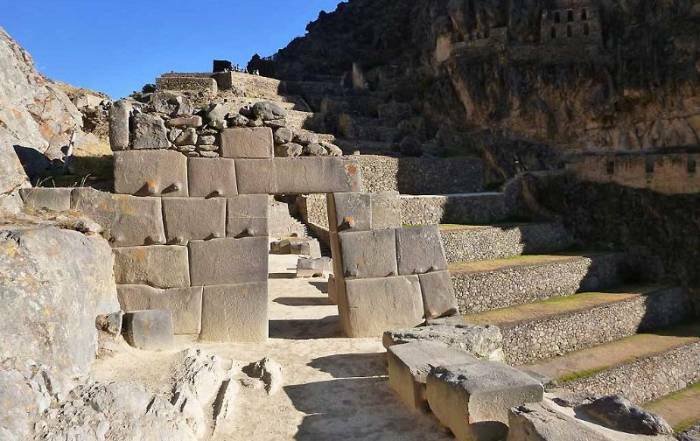 Machu Picchu site tickets are not available through the Boletto Turistico, which provides a discount when visiting other Peruvian archeological sites, like Ollantaytambo and Saqsayhuaman. Peru Rail tickets are 90% refundable if you show up with your passport at their office in Cusco. 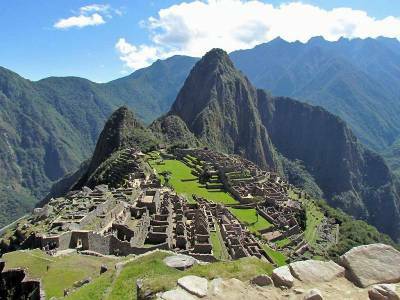 In the Incan language of Quechua, Machu Picchu means “Old Mountain”. 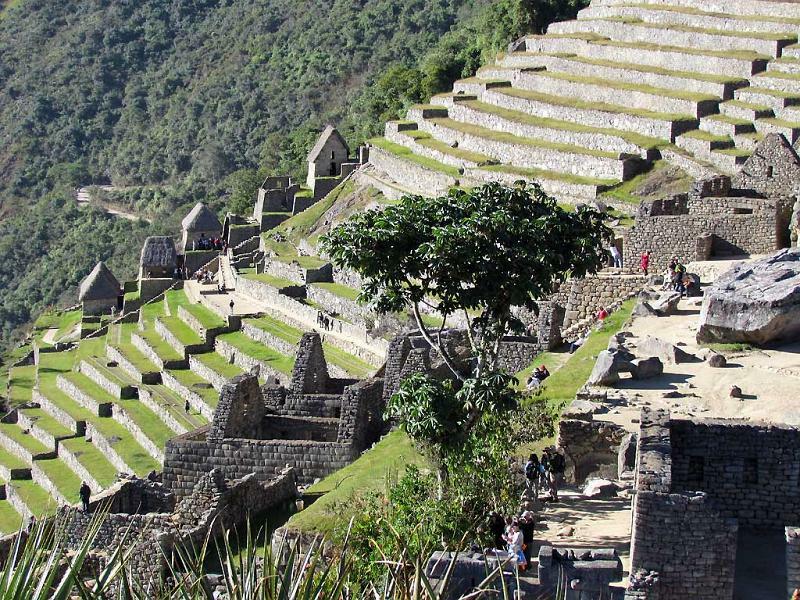 This Inca site was not discovered during the Spanish invasion of the Inca Empire, so it was in a well preserved state and hidden in thick vegetation when Hiram Bingham rediscovered it in 1911. 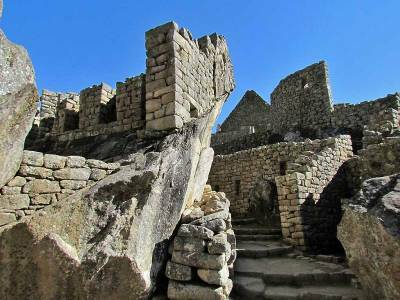 Hiram’s discovery inspired his book, the Lost City of the Incas. The site was most likely a vacation spot for royalty. 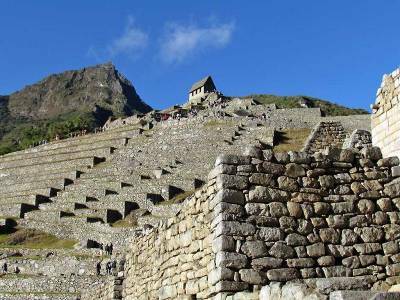 The ruins sit between two peaks – Machu Picchu and Huayna Picchu. 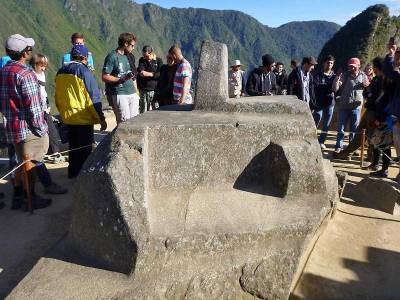 At the site, the Intihuatana stone accurately indicates the two equinoxes when it projects no shadow. The Temple of the Sun is believed to have been an astronomical observatory. The Temple of the Condor is a very unique construction of fitted stones. Take a short hike up to the Guard House for the classic view over the site. Prices are higher in Aguas Calientes due to its isolation, but you can find many reasonably priced places to eat. One the most popular foods served is pizza. In fact, people all over Peru like pizza. At the site of Machu Picchu, thethe Machu Picchu Sanctuary Lodge has the only food service available. Their lunch buffet will set you back more than $30 US and the reviews aren’t glowing. You can pack a lunch, but you cannot buy food at the ruins.